The MKT Panzer is simply compact & rugged. 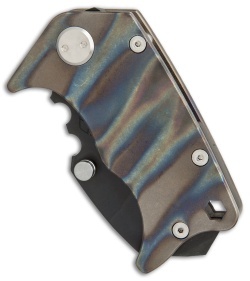 This small, but mighty tanto folder packs a lot of potential in its 3.5" footprint. The D2 steel blade has a black finish with a thumb stud opener and dipped thumb rest. 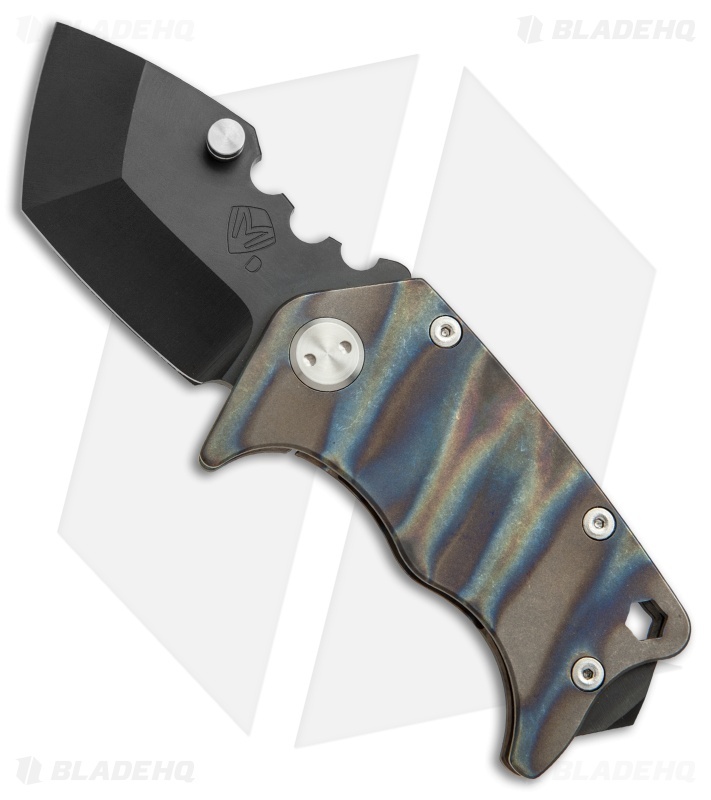 This version of the Panzer features a flamed titanium handle and frame. A steel glass breaker pommel spacer and a titanium pocket clip finish off the piece. 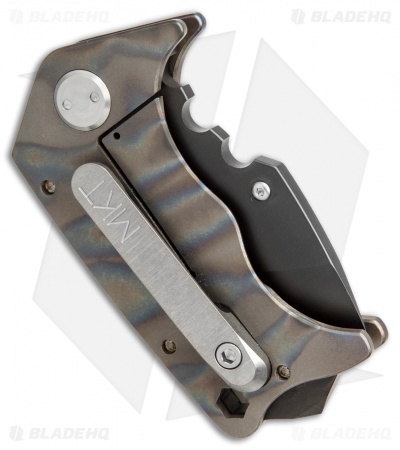 The Panzer is a remarkably comfortable pocket knife. Comes with a waterproof case.